She has the storyteller’s gift. Grace for Amateurs is book packed with humor, depth, kindness, intelligence, and inclusion. 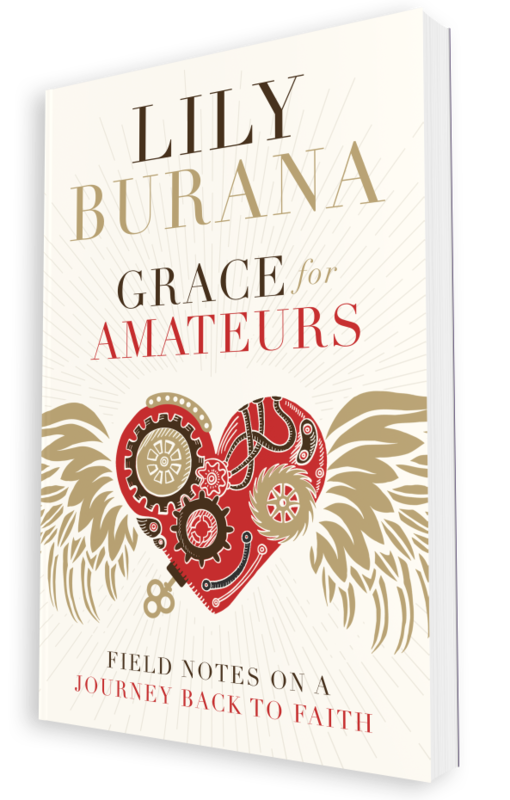 In Grace for Amateurs, Lily Burana brings her wit, warmth, and rebellious spirit to some of the deepest questions we face. In Grace for Amateurs, Burana’s words whisper that we must pay attention to this achingly beautiful world. Grace for Amateurs is a righteous survival guide that broadens the meaning of devotion. Lily Burana is the author of four books, including Try and I Love a Man in Uniform: A Memoir of Love, War, and Other Battles.